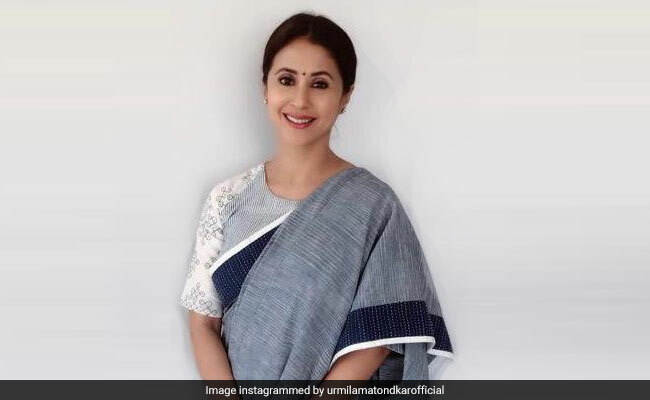 Actor-turned-politician Urmila Matondkar, accused of making anti Hindu comments in a TV interview by a BJP worker, has called a complaint filed against her in Mumbai "bogus, baseless and filled with ulterior motives". The BJP's Suresh Nakhua has also named Congress chief Rahul Gandhi and a veteran journalist in his complaint. "I have been grossly misquoted by the complainant, who is a BJP member, with malafide intentions," Urmila Matondkar said in a statement on Sunday. The actor-turned-politician said in the interview she had objected to "fake, divisive and violent ideology" being promoted by the BJP in the name of Hinduism, to "misguide people and bring disrepute to the great religion". She said: "Hinduism is an epitome of peace, inclusiveness and non violence. I believe in Hinduism which embraces benevolent concepts of 'Vasudhaiv Kutumbakam' (The whole world is a family) and 'Ahimsa Paramodharma' (non violence). This is the Hinduism promoted by our great forefathers and Lokmanya Tilak, Gandhiji, Vivekanand and Sardar Patel...I believe in love, and respect Hinduism in this sense and not in what BJP wants to promote." Suresh Nakhua, in his police complaint, had said: "I was watching television on April 5 at 8 pm. I saw well known and celebrated Bollywood actress Ms Urmila Matondkar, make false, mischievous and deceitful comments saying 'Hinduism the most violent religion in the world',". The BJP worker said Urmila Matondkar made the comments "on the instructions and orders" of Rahul Gandhi so action should also be taken against him. He also dragged in senior journalist Rajdeep Sardesai, accusing him of "allowing" the broadcast. A Mumbai police officer told news agency PTI that action would be taken based on legal opinion. Maharashtra Congress spokesperson Sachin Sawant accused the BJP of trying to malign Urmila Matondkar because it feared defeat in Mumbai North, where she is contesting as the Congress candidate. "The BJP has realised voters prefer Urmila Matondkar rather than the incumbent BJP lawmaker Gopal Shetty," he said. Urmila Matondkar joined the Congress on March 27. She will file her nomination today. She is taking on the BJP's Gopal Shetty in the Mumbai North constituency, which votes on April 29, the fourth phase of the national elections starting this week. The results will be declared on May 23.